Barcelona, 14/02/2018- Kilian Jornet’s Summits of My Life project has reached completion with the documentary “Path to Everest”. The trailer was released on Wednesday and dates have been set for the premières in Spain. When he was a child Kilian Jornet made a list of all the races he’d like to win and all the mountains he dreamt of climbing. In May 2017 he ticked off the last on the list with the historic double, solo ascent of Everest, without oxygen and in a single climb. It marked the climax of the Summits of My Life project which took him to some of the world’s most famous peaks over five years, accompanied by a small group of climbers. “Path to Everest”, directed by Sébastien Montaz-Rosset and Josep Serra, follows the path that led Kilian Jornet to the highest peak in the world in an intimate portrait revealing his fears, contradictions and his desire to keep seeking new challenges so that he can continue to dream, surrounded by the mountains and people who are his inspiration. “With Path to Everest we come to the end of Summits of My Life. It’s been a thrilling project which has opened doors to new projects and dreams for the future. I have learnt much along the way, climbing mountains that I’ve dreamed about since I was a child and meeting amazing people from all around the world. I’m delighted to be able to share these moments with whoever watches the film,” Kilian Jornet said. 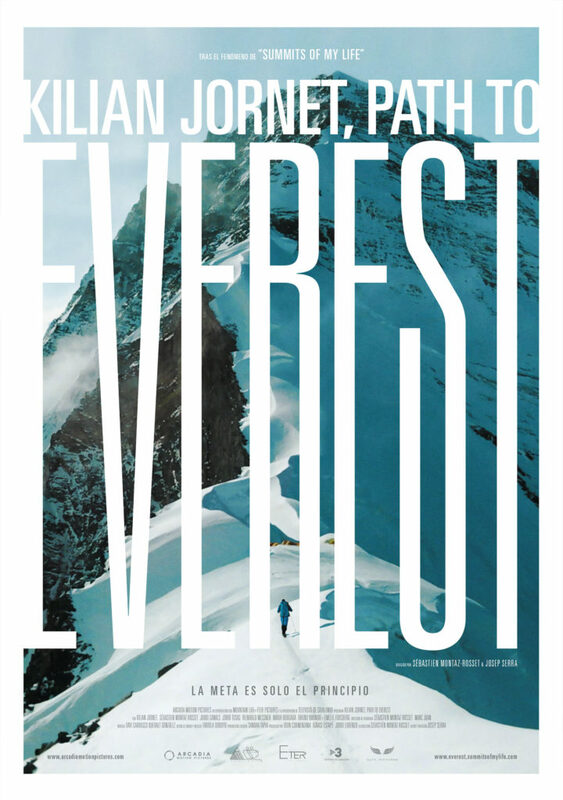 Kilian Jornet is the key player in “Path to Everest” which also includes contributions from outstanding mountaineers such as Reinhold Messner, Jordi Canals, Jordi Tosas and Peter Habeler, as well as people close to Jornet such as Emelie Forsberg, Bruno Brunod and Sébastien Montaz-Rosset. The documentary also reviews the history of Everest expeditions since the early 20th century and describes how many climbers have defied the laws of nature in a bid to undertake more technical expeditions. ‘Path to Everest’, is produced by Arcadia Motion Pictures, Mountain Life and Eter Pictures, with the participation of Televisió de Catalunya. The documentary will be premiered in Bilbao (Spain) on the first of March with an especial event presented by Kilian Jornet himself. After that, the film will be distributed in cinemas by Alfa Pictures.